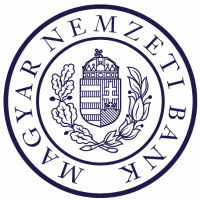 A proposal from Hungary’s central bank Magyar Nemzeti Bank (MNB) for the launch of an instant payments service that will allow consumers to initiate a payment using only the mobile phone number of the recipient, with transactions completed “in a matter of seconds”, has been approved by the country’s Financial Stability Board. “Based on this system, interoperable payment solutions may be established which may widely support the possibility of electronic payments in all payment situations today, mainly characterised by the use of cash,” MNB says. The service will allow for payments of up to HUF 10m (US$33,599) to be made and is in line with SEPA’s standards for instant payment services and the European Union’s Payment Services Directive (PSD2). “In view of the fact that, at present, neither the central infrastructure nor the systems of payment service providers are capable of executing payment transactions in accordance with the aforementioned rules, in 2017, a national financial infrastructure modernisation project will be launched, under the coordination of the MNB,” the bank adds. “Within the framework of this, all affected stakeholders will have to implement all those necessary improvements that will ensure the availability of the instant payment services to domestic consumers and enterprises by the second half of 2019, at the latest. A paper available from MNB reveals in-depth details around the operational modes of the service.